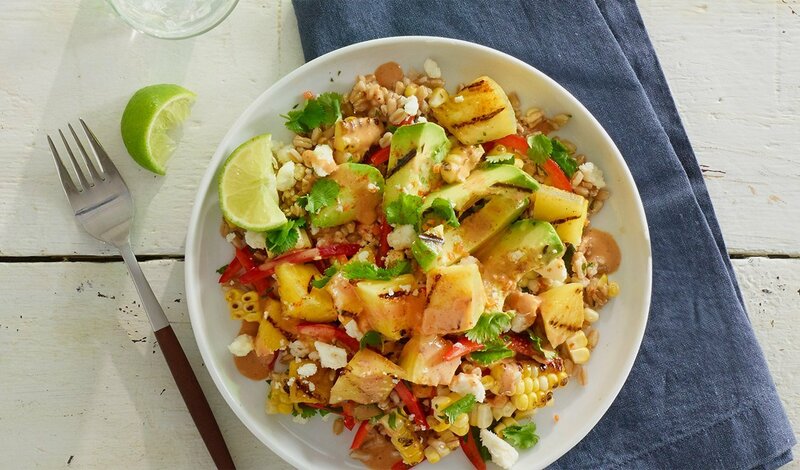 A sweet and spicy salad featuring hearty farro with roasted corn, pineapple, habanero and sweet bell peppers, then topped with creamy avocado and queso fresco. Toss Hellmann’s® Mango Pineapple Vinaigrette with farro, corn, peppers and cilantro. Drizzle with Hellmann’s® Ancho Chipotle Sauce and top with remaining ingredients. Garnish with a grilled lime wedge.